2018/19 Fed/Cal Tax Update is good for up to 8 hours of CPE** Want 18 hours? 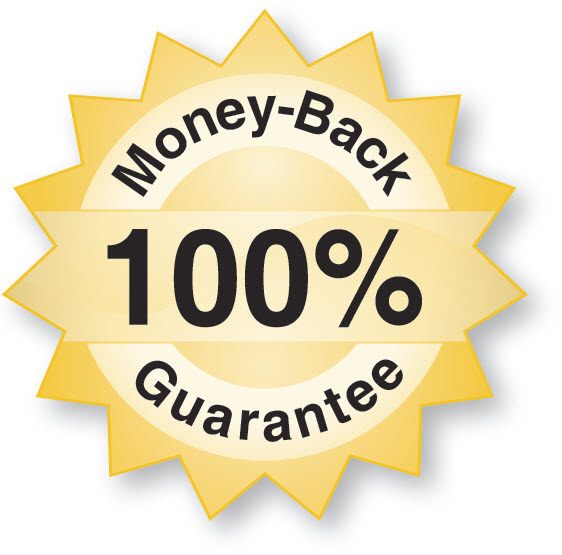 Click here to get up to 10 additional hours at a discounted price. Is your client a statutory employee? Can you compute it in your head? Wayfair case: Must your clients collect sales or use tax on Internet sales to other states? 100%, 50%, or 0% deductible? Is a meal nondeductible entertainment? Check out California conformity to any TCJA provisions — not! Renée Rodda, gives you a preview of topics that will be presented at the 2018/19 Federal and California Tax Update Seminars. This webinar is designed to meet the requirements for 8 hours of continuing education for CPAs; 6 hours of Federal Update for EAs*; 6 hours of Federal Update and 2 CA for CRTPs; and 6.75 hours of General MCLE credit for attorneys. CFPs do not receive credit for the webinar or self-study versions of this course. Register for the self-study instead. Want more than 8 hours of CPE? Sign up for our Tax Update and add these bonus courses† at a discounted price. To order call (714) 776-7850 or fax the order form. 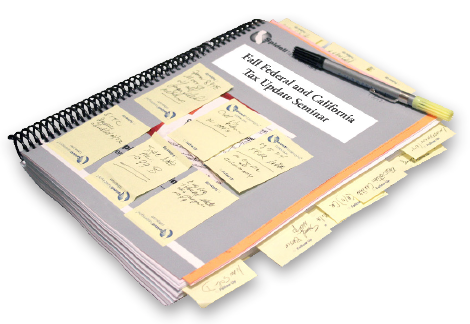 Add the 2017/18 Federal and California Tax Update Seminar to your cart. Enter coupon code BONUSSEM17 at checkout. The coupon code is case sensitive. †2018/19 Bonus CPE self-study available within 10 business days of course completion date. $89 when purchase separately. Intermediate California Business Tax Update on-demand webinar is available Friday, December 21, 2018, or within 10 business days of course completion. Searchable e-version of the PDF manual and PowerPoint slides. Printed manual sent by mail. One person may watch and listen on one computer. *EAs will receive a 2-hour federal tax self-study to ensure up to 8 hours of CPE. Please contact our Customer Service department at (714) 776-7850 to cancel the on-demand webinar. This self-study is designed to meet the requirements for 8 hours of continuing education for CPAs; 6 hours of Federal Update CPE for EAs; 6 hours of Federal Update and 2 CA for CRTPs; and 6.75 hours of General MCLE credit for attorneys. This seminar has been designed to meet the requirements of the IRS Return Preparer Office; including sections 10.6 and 10.9 of Department of Treasury’s Circular No. 230 (Provider No. CRA7E); the California State Board of Accountancy; the California Bar Association; and the California Tax Education Council. This does not constitute an endorsement by these groups. The State Boards of Accountancy have final authority on the acceptance of individual courses for CPE credit. For more information regarding administrative policies such as complaints or refunds, contact Spidell Publishing at 714-776-7850. Spidell Publishing, Inc. has been approved by the California Tax Education Council to offer continuing education courses that count as credit towards the annual “continuing education” requirement imposed by the State of California for CTEC Registered Tax Preparers. A listing of additional requirements to renew tax preparer registration may be obtained by contacting CTEC at P.O. Box 2890, Sacramento, CA 95812-2890, or by phone at 877-850-2832, or on the internet at www.CTEC.org. Spidell Publishing, Inc. is registered with the National Association of State Boards of Accountancy (NASBA) as a sponsor of continuing professional education on the National Registry of CPE Sponsors. State Boards of Accountancy have final authority on the acceptance of individual courses for CPE credit. Complaints regarding registered sponsors may be submitted to the National Registry of CPE Sponsors through its website: www.nasbaregistry.org. This seminar is designed to meet the requirements for 8 hours of continuing education for the California Board of Accountancy. Level: Update. Field of Study: Taxes. Delivery method: Self-Study. For more information regarding administrative policies, such as complaints or refunds, contact Spidell Publishing at (714) 776-7850. General tax preparation knowledge is required.